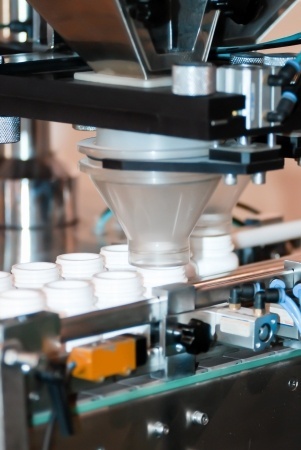 Manufacturing a unique vitamin, nutritional supplement, or health related product and bringing it to market is what Private Label Supplements excels in achieving for clients. Our state of the art cGMP certified manufacturing facilities and experienced team of scientists, formulators, and product managers are here to guide you to effectively and successfully launch your products. Our reputable infrastructure is here to support your company and brand. We understand the different aspects of what goes into contract manufacturing and custom manufacturing vitamins and supplements, and we go beyond what is expected. Whether you need a new custom formulation or manufacturing of an existing formula, our years of expertise have prepared us for all these initiatives and more. Our commitment goes beyond contract manufacturing as you can rely on us for assistance in a wide variety of areas including marketing, design, labeling, warehousing, drop shipping, and much more. Private Label Supplements custom manufactures and private labels products in all forms and mediums. We have developed exciting dietary supplements in tablets, capsules, soft gels, powders, liquid, cream, and have produced products with innovative technologies such as time release capsules. This is possible because we work with an extensive list of facilities with the latest and most innovative equipment and technology available today. Because all of our products are manufactured in cGMP certified facilities that follow all FDA guidelines, you can be sure that you will receive the highest quality product on the market today in an effective and efficient contract manufacturing process. Our dedication to quality means that we take quality assurance very seriously and audit our quality at every stage of production. Private Label Supplements is a perfect partner for your custom contract manufacturing and private label solution needs.